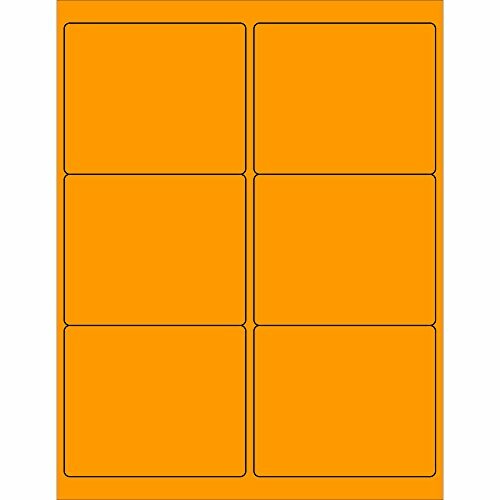 4 x 3 1/3" Fluorescent Orange Rectangle Laser Labels. Use to create your own product or mailing labels. Labels work with both laser and ink jet printers. Permanent adhesive. Labels stick to a variety of smooth surfaces including paper, corrugated, plastic, wood, glass and metal. AVERY EQUIVALENT: 5164. Avery is a registered trademark of Avery Dennison. Reference to Avery and its model numbers are for comparison purposes only. Tape Logic and the Tape Logic brand labels are not affiliated with Avery.